Double Wall, 2 ply corrugated cardboard box. Suitable for Shoes , larger books, pots and pans, glasses or small linens. Our wardrobe box is a sturdy 2 ply corrugated box which will easily store 30 pieces upright and comes with a metal clothing rail. 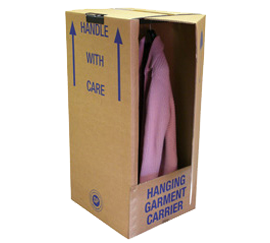 Wardrobe cartons are ideal for the transportation and storage of garments. The die-cut cases are designed with a hinged access door, pre-cut carrying slots and used with a plastic hanging bar/rail. 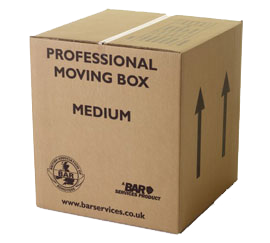 Our stock range of garment transportation cartons are produced from heavy duty double wall kraft board to offer maximum strength and longevity.